PICC- Peripherally Inserted Central Venous catheter Inserted in to peripheral vein near Ante-cubital fossa and the distal tip of the catheter is introduced up to the superior vena cava. PICC can be used up to six months and suitable for both Hospitalised and home treatment. Used for Administration of antibiotics , Chemotherapy, and other drug which are irritant to the peripheral veins . Avoid Repeated Painful Vein punctures with I.V Cannulae and trauma associated with these puncture as well as damage and loss of peripheral veins. Made UP OF High grade thermosensitive Polyurethane , fully radiopaque material for long term venous access. 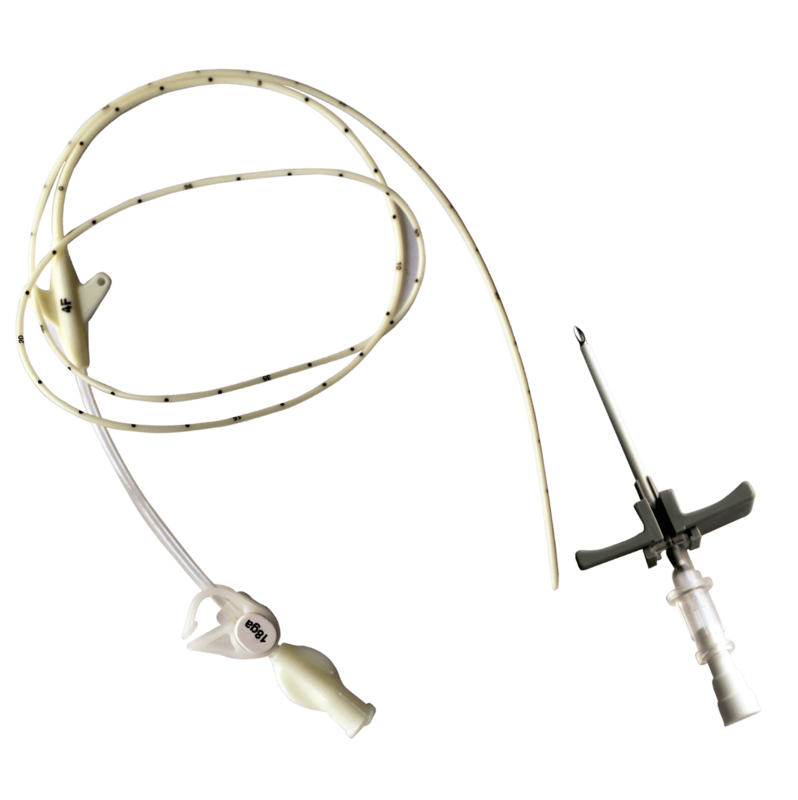 Innovative catheter design reduces post insertion bleeding . Come with clear PU extension for patient comfort .